I was at Hallmark toy shop in Cairo when I came across these interesting looking models by Match Box. One of those models was called "Stealth Launch" which looked very similar to the fictional F/A-37 Talon featured in the movie "Stealth". One of the very notable design characteristics of this aircraft is the forward-swept wings. So I decided to write an article about this wing configuration and the aircraft that implemented it. 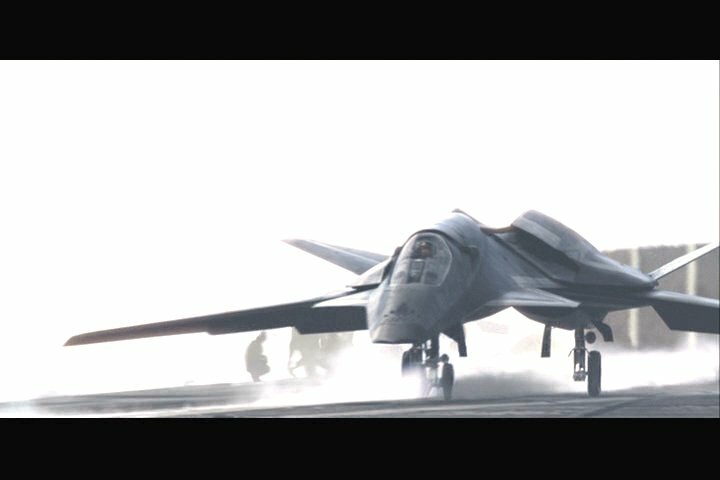 F/A-37 Talon from the movie "Stealth"
The rearward location of the main wing spar would lead to a more efficient interior arrangement with more usable space. 1. When a swept wing yaws sideways, one wing moves rearwards. On a forward-swept design, this reduces the sweep of the rearward wing, increasing its drag and pushing it further back, increasing the amount of yaw and leading to directional instability. This can lead to a Dutch roll in reverse. 2. Due to aero elasticity, the lift force on any wing tends to bend it upwards at the tip. On a forward-swept design, this increases the angle of incidence at the tip, increasing lift and causing further bending which causes further lift and so on. In the worst case, the tip structure can bend so far it fails. This divergence speed sets a maximum safe speed for the aircraft. Another dangerous consequence of this increase in tip lift under load is a tendency to tighten into a turn, even though the pilot is not trying to. At large angles of sweep and high speeds, in order to build a structure stiff enough to resist bending and light enough to be practicable, advanced materials such as carbon fibre composite are required. 3. Any swept wing tends to be unstable in the stall, since the rearward end stalls first causing a pitch-up force worsening the stall and making recovery difficult. This effect is more significant with forward sweep because the rearward end is the root and carries greater lift. The Belyayev DB-LK was an early example to fly in 1940. It featured a twin-boom design with forward-swept outer wing sections and backwards-swept tips. It reportedly flew well. Belyayev's proposed Babochka research aircraft was cancelled following the German invasion. 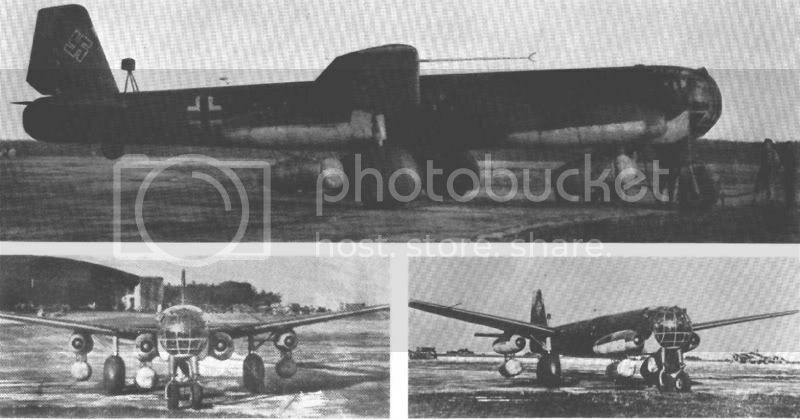 The Junkers Ju 287 was a German flying testbed built to develop the technology required for a multi-engine jet bomber. 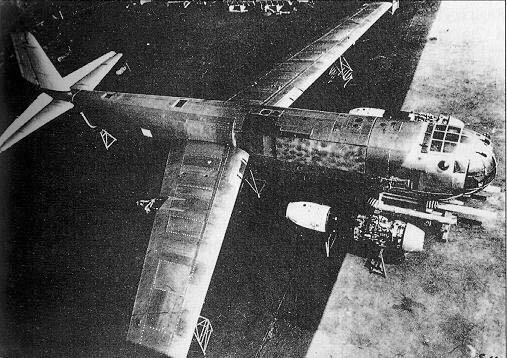 It was powered by four Junkers Jumo 004 engines, featured a revolutionary forward-swept wing and was built largely from scavenged components from other aircraft. This aircraft first flew on 16 August 1944. I own a model of the X-29 similar to the real one in the image below. It is a Dragon Model. The Sukhoi Su-47 Berkut (Golden Eagle) was an experimental supersonic jet fighter developed by Sukhoi Aviation Corporation. Only one aircraft of this type was produced which served as a technology demonstrator prototype for a number of advanced technologies later used in the 4.5 generation fighter SU-35BM and current 5th generation fighter prototype Sukhoi PAK FA. The project was launched in 1983 on order from the Soviet Air Force. But when the USSR dissolved, funding was frozen and development continued only through funding by Sukhoi. Like its US counterpart, the Grumman X-29, the Su-47 was primarily a technology demonstrator for future Russian fighters; however, Sukhoi briefly attempted to market the Su-47 to the Russian military and foreign customers as a production fighter in its own right. I own a Maisto die cast model of the Su-47 Berkut in my collection. When Sci-Fi meets reality ... Astonishing airplane configurations. Note that again, WWII German Engineers were up to date !! Added photos of my new Dragon Model X-29.